Wolf Material Handling Systems has provided complete engineered material handling systems and equipment for handling sludge. Wolf has provided complete systems from sludge collection, sludge drying, sludge stacking, and sludge incineration. 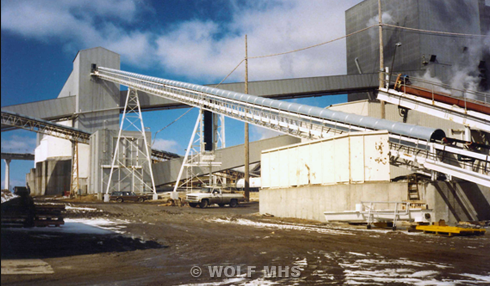 Wolf understands the unique characteristics of sludge, and takes complete design and supply responsibility of the material handling system. Wolf offers a Performance Guarantee on each system design.